Duration of the tour: 5,5 hours. 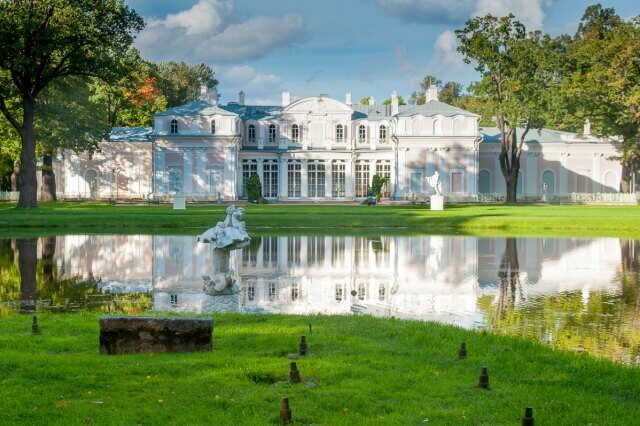 Oranienbaum ranks among the brightest summer residences of nobility and was founded in the early 18th century as a symbol of Russian dominance on the Baltic sea lands, recovered during the Great Northern war. 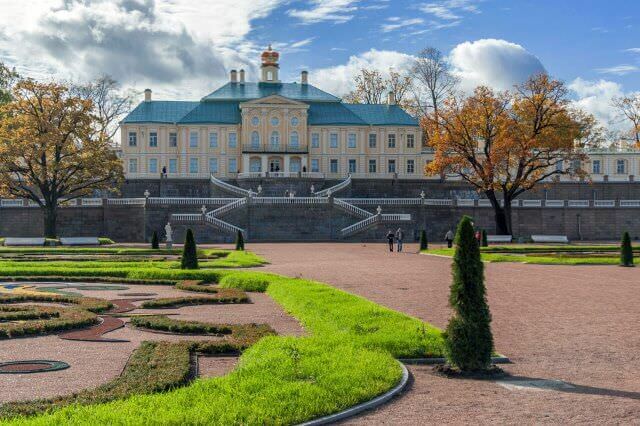 Peter the Great presented the homestead on the shore of the Gulf of Finland to his closest friend and fellow campaigner Alexander Menshikov, the first governor of St. Petersburg, whose palace in Oranienbaum became much more luxurious and sumptuous than the tzar's palace in the Peterhof nearby. The name “Oranienbaum” means “orange tree” in German, which might had been grown here before the residence was founded. 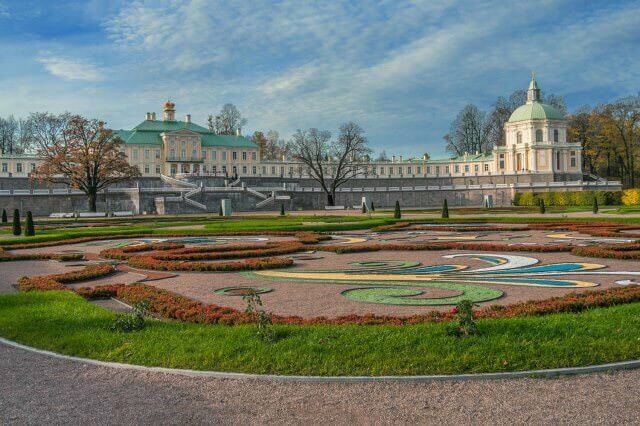 After Menshikov the homestead was owned by the grandson of Peter the Great Peter III, for whom they constructed a “funny” fortress for entertainment and a tiny palace on its grounds, which has remained almost unchanged. However the main attraction of Oranienbaum was created during the reign of Catherine the Great and became part of the “Private Dacha” complex. 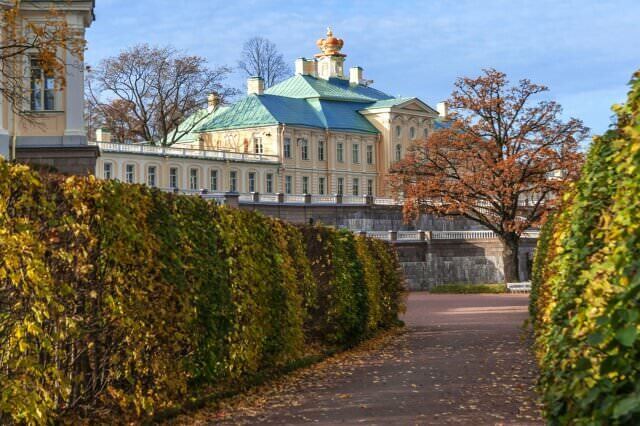 The Chinese Palace was designed in 1768 by Antonio Rinaldi and became the only building in Russia entirely designed in Rococo style. The main celebrity of the palace suite of rooms is the Spangle-work cabinet, decorated with twelve panels embroidered with beads and silk and depicting fantastic plants, birds and butterflies. The Sliding Hill Pavilion, also designed by Rinaldi, reminds of Catherine the Great's favourite amusement, that became prototype for a world-famous ride. This 18th-century roller-coaster consisted of three wavy wooden ramps 20 meters high and more than 500 meters long, where coasting was carried out on wooden gilded carriages. 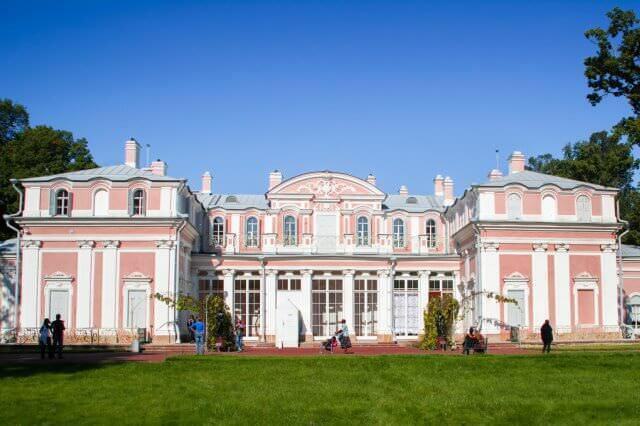 The only remaining part of this complex is an elegant pavilion, which was used for leisure and official receptions. 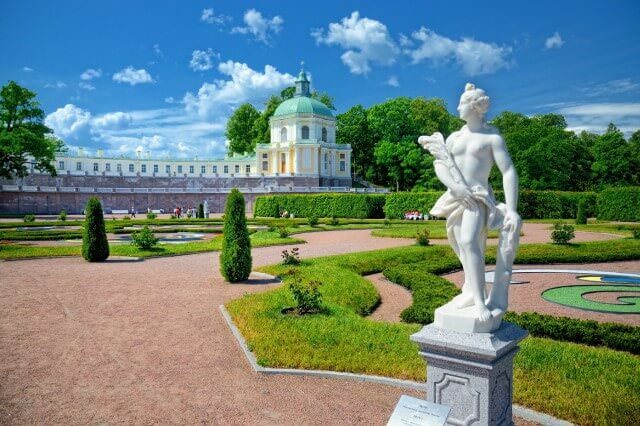 Oranienbaum occupies a special place among the other palace and park ensembles of St. Petersburg, because it has retained authentic buildings and original collections. 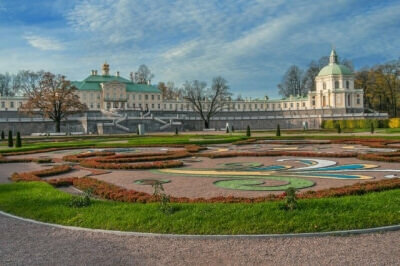 Owing to great efforts and heroism of the Leningrad soldiers, it wasn't occupied by the Nazi and destroyed. 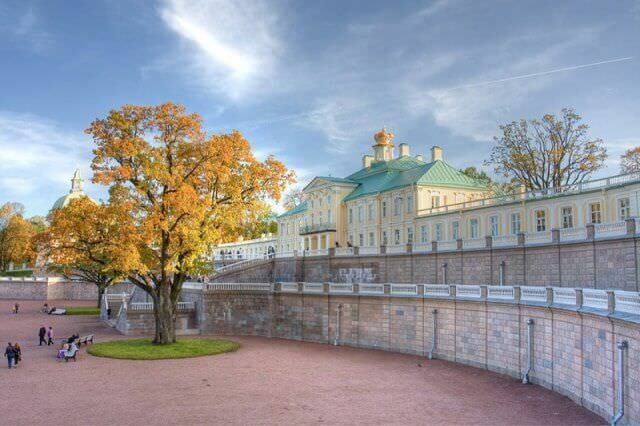 A small piece of land called the Oranienbaum Bridgehead remained under the Soviet control and played a significant role in the lifting of the Siege. We providing private guided tours to Oranienbaum in English, German and other languages.